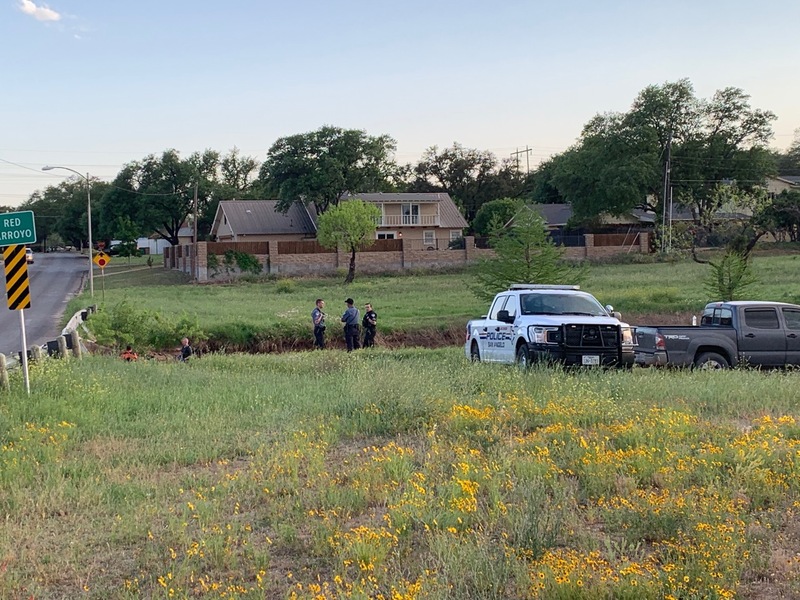 SAN ANGELO, TX — What can only be characterized as a “follow-up investigation” by officials is unfolding at the College Hills Blvd. bridge over the Red Arroyo. Police are searching for something in the shallow water below. We have witnessed a policeman in dive gear and at least one K9 unit. Police were spotted here at about 6:30 p.m. Friday afternoon. For now, police aren’t saying what they are looking for. If they do, we will send out an update.